« Ready for my close-up, Mr. DeMille! This winter I tackled something a little different; off-topic, yet still on-topic. 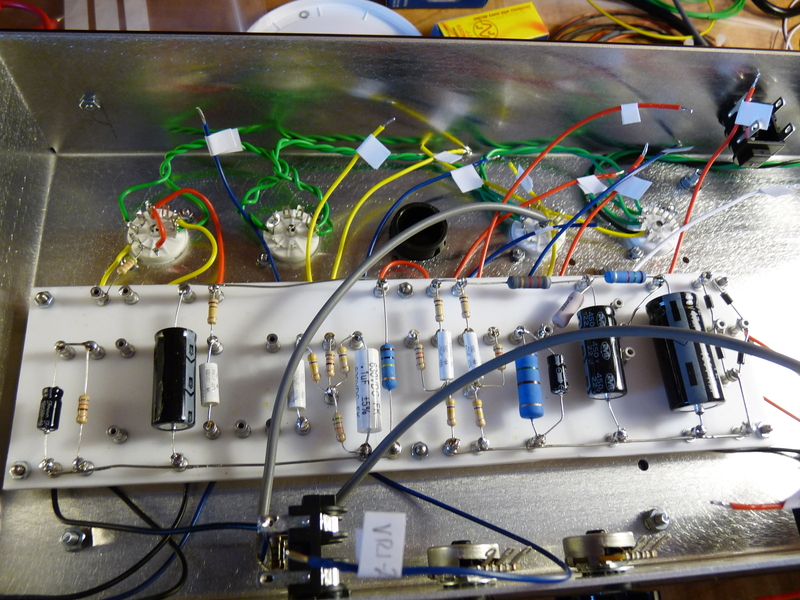 With all my other self made musical gear, I still needed somebody else’s amplifier to push it through (at least on the electric side.) 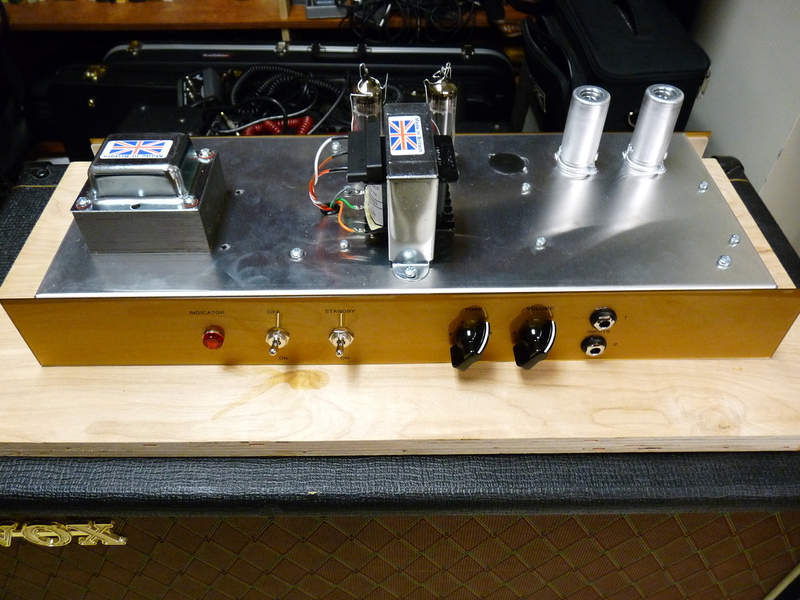 So, with a very cold and snowy winter keeping me in the house, I tackled that final link in the chain: building a tube amplifier! 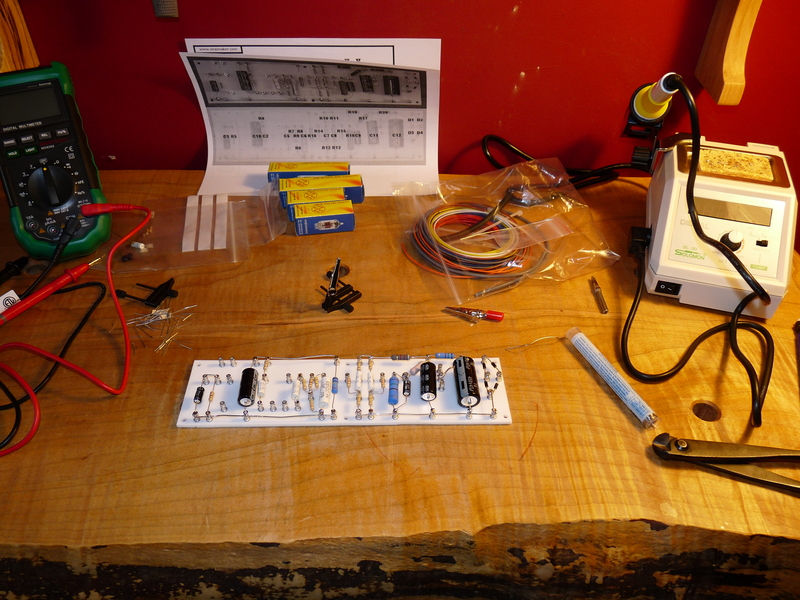 I got my tools collected and got to work, learning to solder along the way. 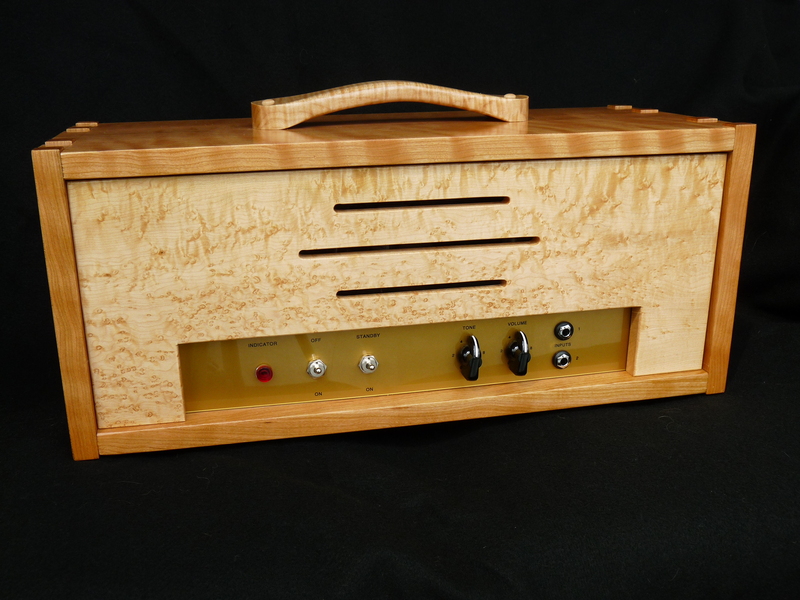 I won’t go into the tech details (this is a woodworking blog, after all! ), but here are some shots of the process. 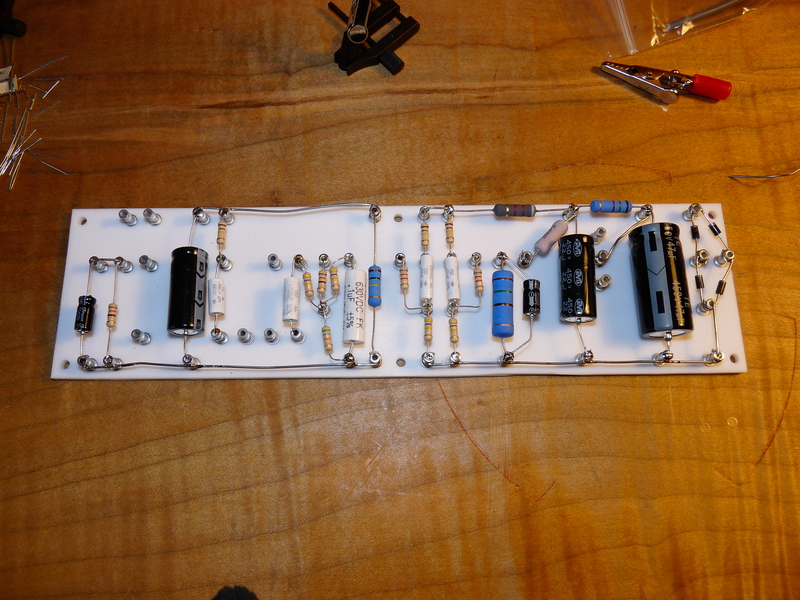 The various capacitors and resistors soldered onto the turret board. 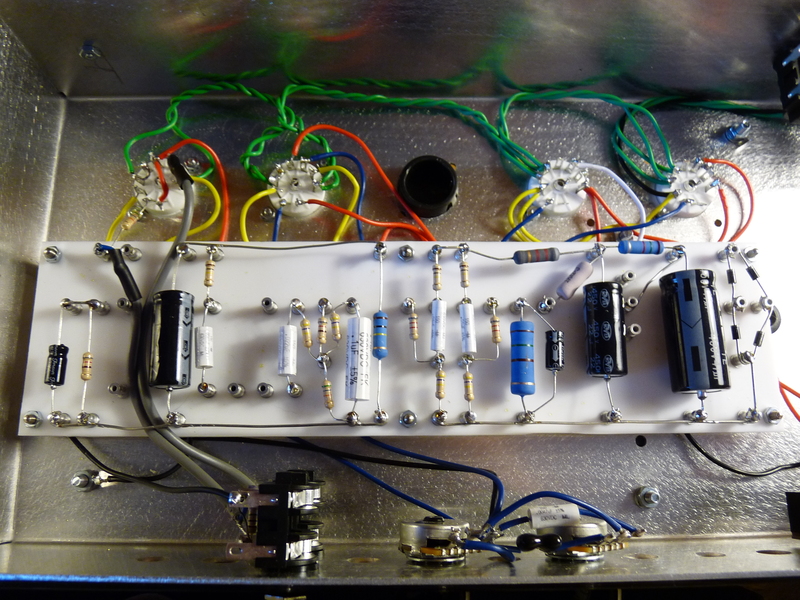 The turret board installed in the chassis, and the first wires connected to the tube sockets. 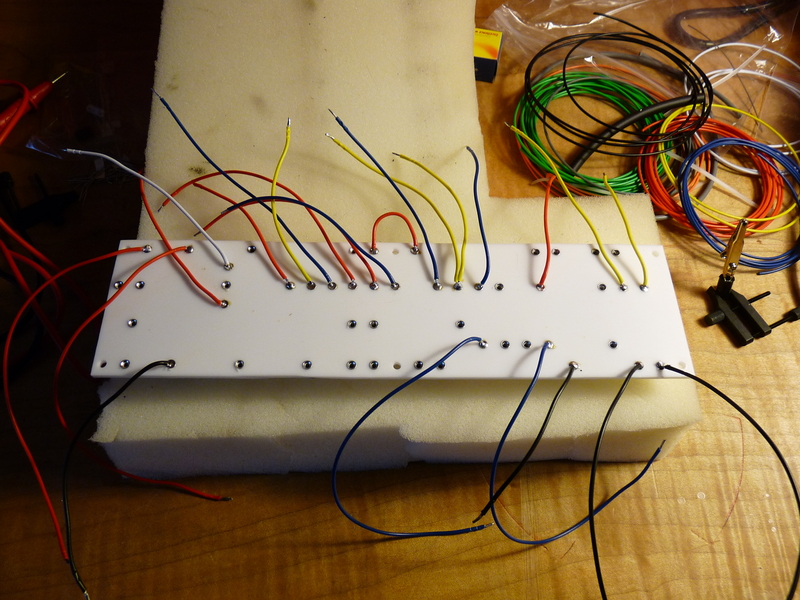 All of the socket, switch, and input connections made. Transformers wired in. 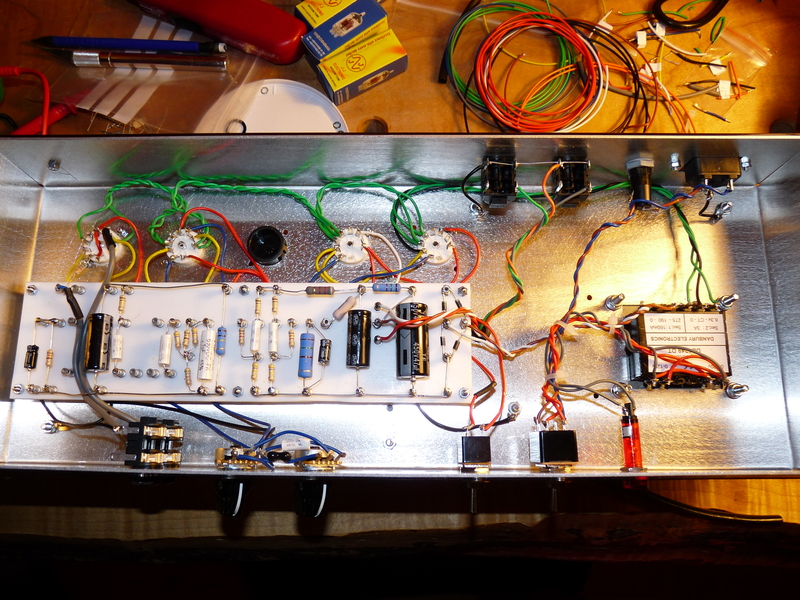 The completed innards! In the end, after doing some careful testing (both un-powered and powered), I ended up with an amp that sounds as good, if not better, than what you can buy in the stores. But, it needed a home. Bolted to a piece of plywood was not only inelegant, but potentially dangerous, with the high voltages transformers waiting to zap a careless hand. So, I built a cabinet for it, using some curly cherry and birdseye maple I had. Green & Green inspired lightly protruding finger joints provide the structure, with a curly maple handle to provide portability. A good project to warm up my WW’ing chops, after the winter break. Here’s a quick clip of what it sounds like. This entry was posted on March 28, 2014 at 4:43 pm and is filed under Acorn House. You can follow any responses to this entry through the RSS 2.0 feed. You can leave a response, or trackback from your own site.